In a recent interview, director Werner Herzog discussed that he could rename every one of his films with the title Starring into the Abyss. It makes sense for a director who has often explored the edges of the world, both physically and psychologically. In the director’s latest documentary, the abyss he takes us to is not one of extreme landscape or even madness, but instead the birth of the human soul, as he describes it. 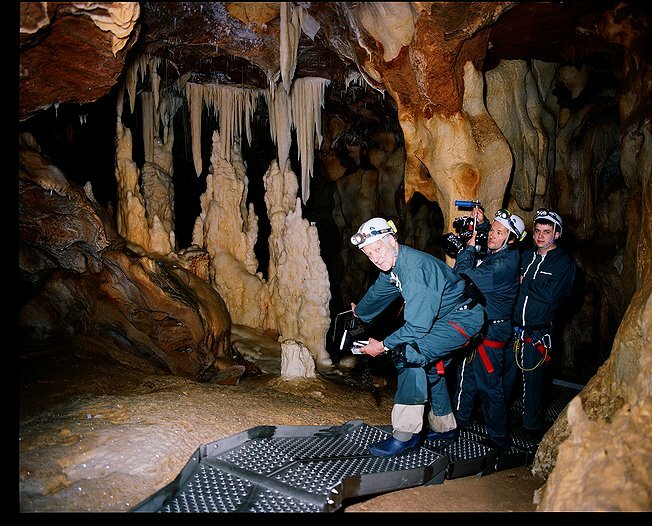 Shooting in 3D in caves never before seen by most humans, Mr. Herzog’s Cave of Forgotten Dreams takes us to a series of limestone caves in Southern France containing paintings that may be over 32,000 years old, dating them as the oldest in the world. Such material might be more fit for a documentary on the Discovery channel, but Mr. Herzog uses the paintings as a chance to explore the meaning of humanity and the soul in a perceptive way that others wouldn’t dare. Plus, he really likes cave paintings. 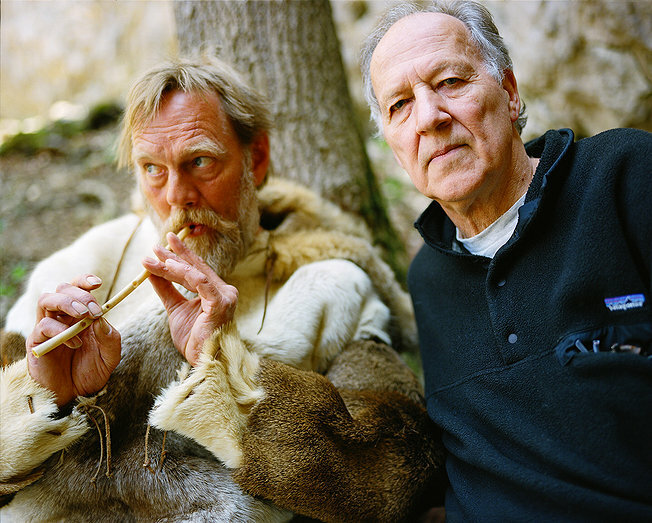 A good majority of the documentary takes place as Mr. Herzog and his crew dive into the limestone caves, carefully navigating along the area to capture the unique formations of buffalo, people, and other creatures. The scientists and excavators that run the cave have refused to allow the public to explore it, making Mr. Herzog’s capture an almost exclusive experience, as he carefully describes the dificult process of shooting in the area. But more than a historical lesson, Mr. Herzog riffs as he does in all of his non-narrative features in a voiceover that borders on self-parody. The questions he asks are not those of a man interested in the truth of the nature, but of some unattainable power of which he cannot reach. In one poignant scene, Mr. Herzog stares at a set of footprints left by a young boy and those of a wolf. He asks whether the wolf tracked the boy, they walked side by side, or perhaps the tracks were left centuries apart. What Cave of Forgotten Dreams misses though is a central character to gravitate toward. 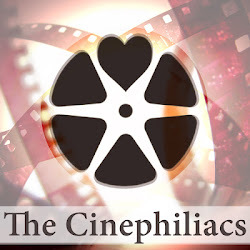 The best of the filmmaker’s documentaries, as well as narrative features, have contained unforgettable characters, such as Timothy Treadwell in Grizzly Man or the deranged penguin in Encounters at the End of the World. 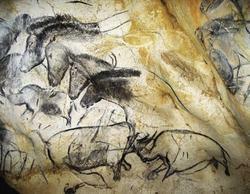 Unless you really love cave paintings as much as Mr. Herzog, Cave of Forgotten Dreams feels like an empty history lesson. Mr. Herzog is much more content in simply showing image after image of the cave with Gregorian chant playing that exploring the actual history, and his own puzzling and rhetorical questions can't really make up for the mostly boring characters that he gravitates toward. Perhaps the most fascinating moment has nothing to do with the caves, but an aquarium near the caves where nuclear radiation has caused a species of crocodiles to become albino. Most perplexing of all is Mr. Herzog’s choice to film in 3D, an effect that he hopes will bring depth to the paintings in a way the 2D cinematic form cannot capture. It is recognizable and provides some life to the otherwise very dead paintings, but it is only a subtle effect that is hard to notice, save for a scene of an anthropologist throwing a spear toward the camera in a demonstration of ancient weapons. Cave paintings may be the point in time in which humans truly came alive and more than animals, and Mr. Herzog's fascination with them fits perfectly in his universe. 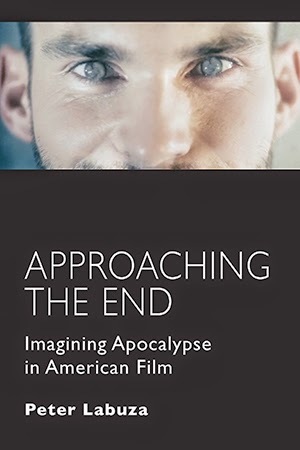 Unfortunately, it is difficult to translate such enthusiasm toward something with such deadening presence on screen, and something so un-cinematic. Cave of Forgotten Dreams is a fascinating look at one man’s interest in a world undiscovered, but your own fervor may depend on how much your interests align with the director.